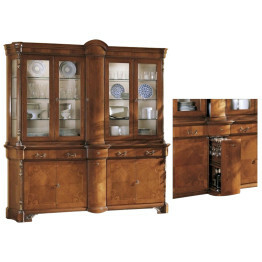 The Giovanni Dining Collection is handcrafted using centries-old techniques handed down by generations of artisans. 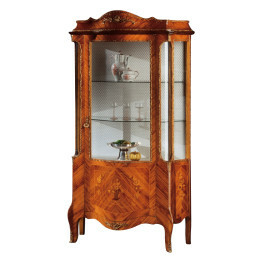 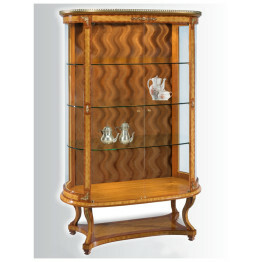 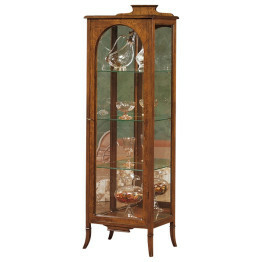 Classic Italian china cabinet is shown in walnut finish with black line inlay. 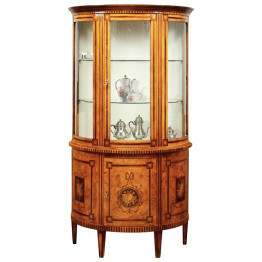 This large Italian cabinet is an elegant way to display your fine china and family heirlooms. 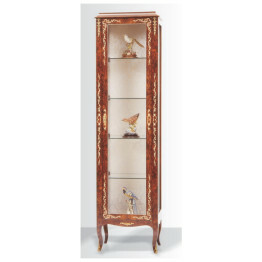 The ample storage available makes this piece not only stunning but functional. 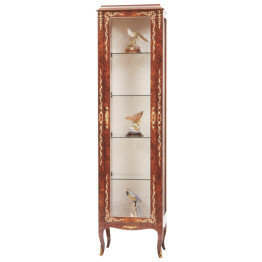 The Deo Collection three door Italian china cabinet is handcrafted in Italy using centries-old techniques passed down through generations of Italian artisans. 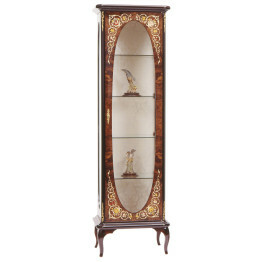 The three lower doors are finished with a black line inlay on each panel. 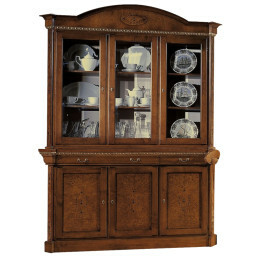 The three doors on the upper and lower cabinet allow for ample storage for your china collection, silver and linens. 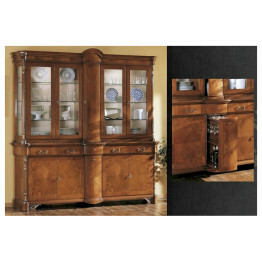 The Francesco Collection 2 door corner cabinet is a classic Italian style that is part of a dramatic line of antique style sideboards. 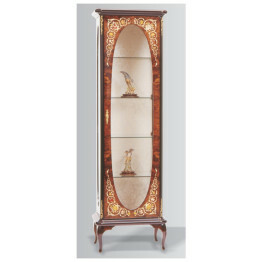 The scrolled details and gorgeously inlaid doors highlight 18th-century Italian technique in craftsmanship and style. 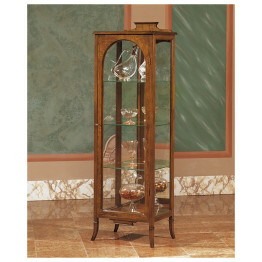 Made with quality hardwoods and detailed with Italian hardware this corner cabinet will truly stand the test of time. 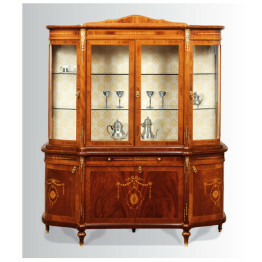 The Francesco Collection is a classic Italian china cabinet featuring four doors up and four doors down and is part of the new dramatic line of antique style sideboards. 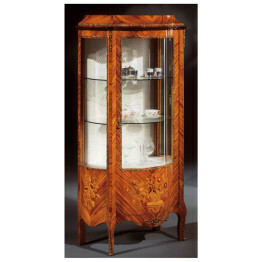 The scrolled details and gorgeously inlaid doors highlight 18th-century Italian technique in craftsmanship and style. 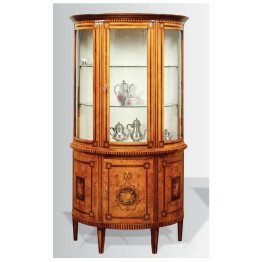 Made with quality hardwoods and detailed with Italian hardware this china cabinet will truly stand the test of time. 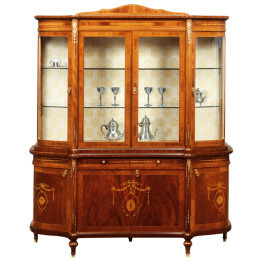 Part of the Migliori Collection, this Classic Italian Five Door China Cabinet with all-wood construction in a classic walnut finish is one of our largest china cabinets. 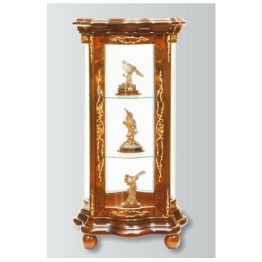 Migliori means “The Best” in Italian and this is a remarkable work of art! 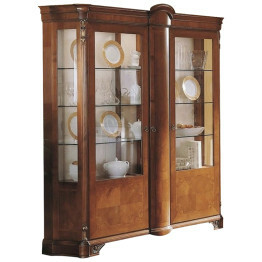 The large china cabinet offers abundant amounts of storage and the unique design gives a 100% Italian style to any dining room. 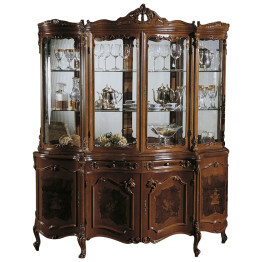 The Italian china cabinet is made of ash briar, five doors and ten drawers on the lower portion and five doors on the upper portion of the cabinet. 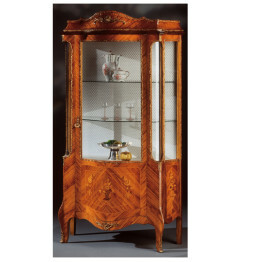 All the pieces in our fine Italian Guerra Vanni collection can be made to match any of the impressive formal tables, chairs and hutches offered. 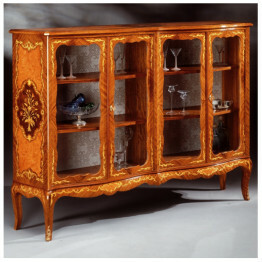 We work closely with all of our Italian manufacturers getting cutting edge designs direct from the newest Italian furniture shows. 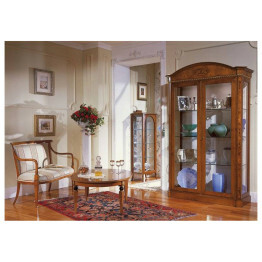 ItalyByWeb.com is dedicated to giving our customers the best quality, prices and customer service possible, so call or e-mail us now to get your custom furniture quote! 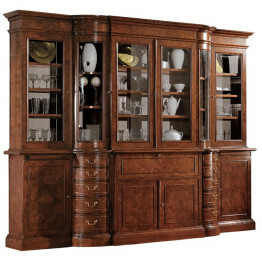 This commanding grand Italian hutch is from the stunning Classico collection. 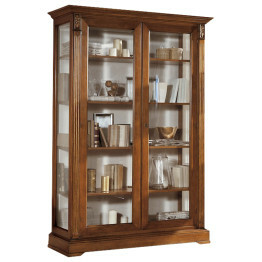 With it's unique construction this hutch offers abundant storage in a sleek design. 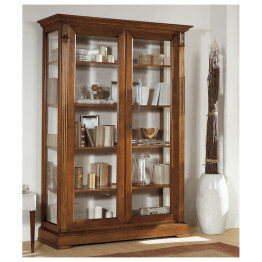 Made 100% in Italy by skilled craftsmen it offers uncompromising quality. 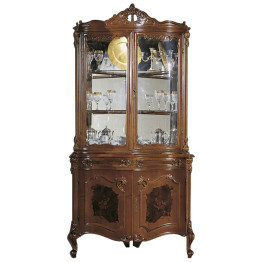 Classic Italian China Cabinet with 3 doors and gold. 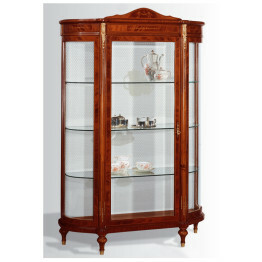 With a classic Italian design this elegant china cabinet will make a magnificent focal point for your dining room. 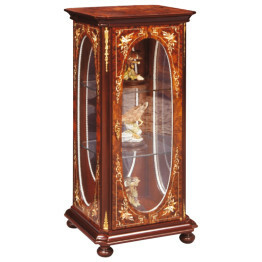 The Deo Collection three door china cabinet with gold accents and walnut finish make this an excellent addition to your home. 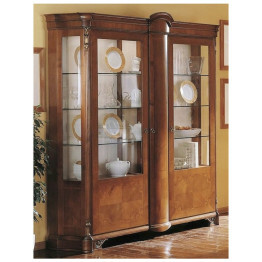 The top of this cabinets arched design give this display cabinet Italian elegance. 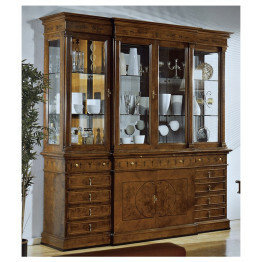 This Italian cabinet is a striking addition to any formal dining room. 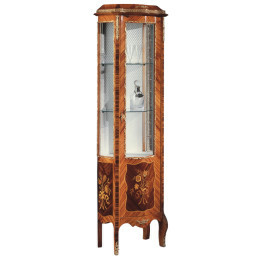 This three door cabinet features splashes of gold detail to lend extra elegance to the Italian style of your dining room. 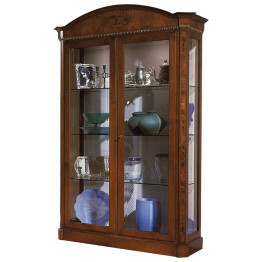 The Deo Collection Classic two door display cabinet is hand finished and hand crafted from all walnut wood. 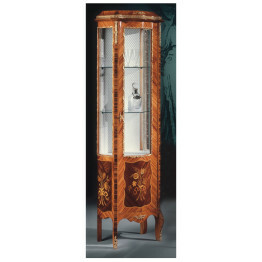 Wonderfully inlaid with a black line inlay and 2 glass doors. 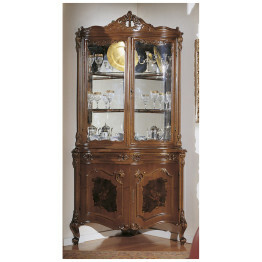 Stately Italian cabinet available with wood, fabric or mirrored back. Also available with wooden or glass shelves, it is the perfect showcase for your fine china. 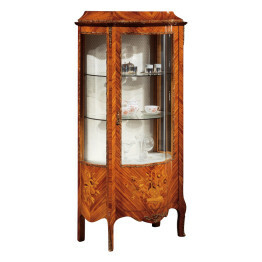 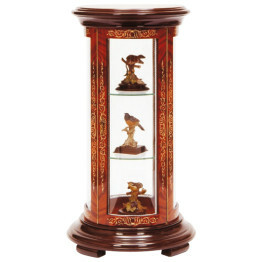 The One Door Display Cabinet in Bois de Rose inlay is a very unique vitrine. 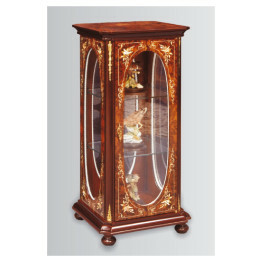 The glass shelves and the fabric backing are standard in this cabinet, however, if you would like a mirrored back or wood back we can customize this piece for you. 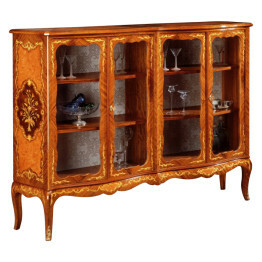 All of our furniture is handcrafted in Italy by artisans and can be customized in size and design. 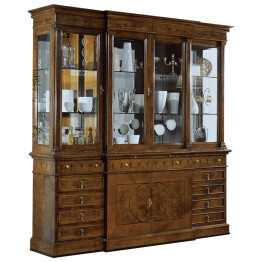 Call or Chat to one of our Interior Designers to discuss your next design project. 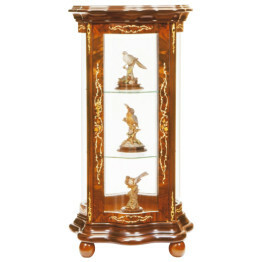 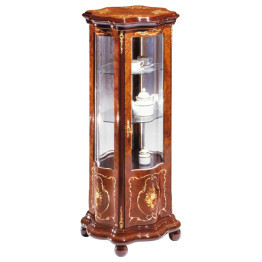 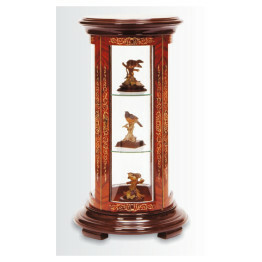 This Four Door Mahogany Vitrine is handcrafted in Italy by artisans. 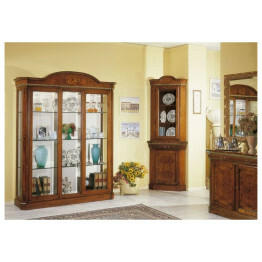 The special inlay on the cabinet doors has an elegant design that you will only find in Italy. 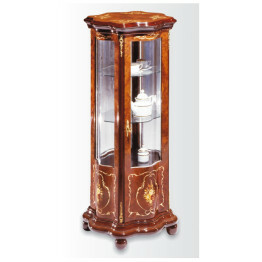 The Italian furniture maker of this Vitrine is located in the Lombardy Region of Italy. The shelves inside the cabinet are made of glass and you can have a fabric backing (as shown) or you can have a mirror or wood back. 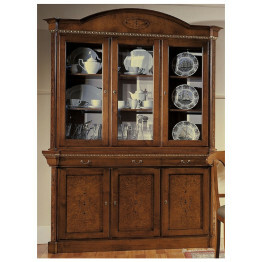 This cabinet can be customized to fit your home. 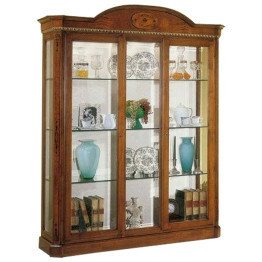 Allow 60 – 90 days for delivery to your home.